Today, we woke up and had breakfast with our host and Josh, which was lovely! We had toasted buns with spreads etc as well as cereal, coffee and juices! 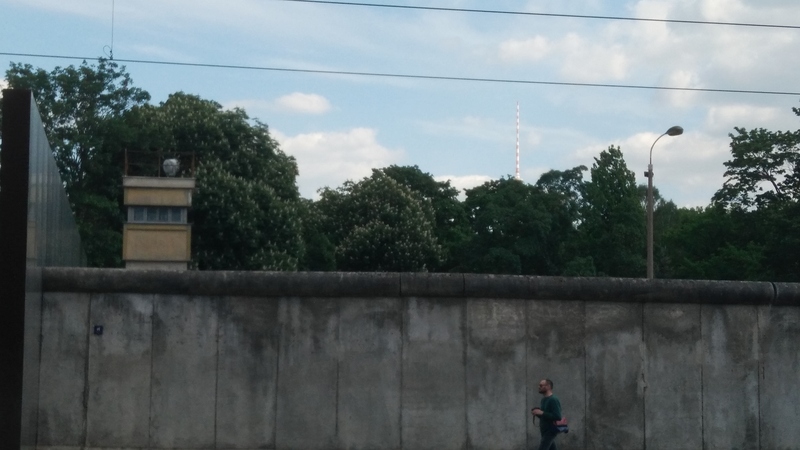 Then, we headed to the Berlin Wall, which was about a 1 hour 30 minute walk away. We got there and then we walked the whole length of the memorial there and read all of the plaques. We walked to Checkpoint Charlie but got hungry so turned back and took the 2 hour walk back so we could make food and we’ll go to Checkpoint Charlie tomorrow as well as the Brandenburg Gate and other things! We’re having ground meat with pasta for dinner and then some chocolate yogurt!